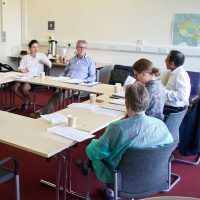 Our vision is of a future free from the fear of bowel disease through research, education and dissemination of clinical excellence. Bowel cancer is the second biggest cancer killer in the Western world. 622,000 people die from bowel cancer each year. Crohn’s disease and Ulcerative Colitis are forms of Inflammatory Bowel Disease (IBD). Both are painful and debilitating disease that affect 300,000 people in the UK and 5 million world-wide. The main onset is during youth and there is no cure for IBD currently. We raise 2-2.5 million pounds every year for cutting-edge research, education and training. 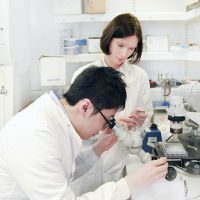 We have made progress in areas including imaging & diagnostic screening, inflammatory bowel disease, genetics & gut biomes, parenteral nutrition, tissue engineering and artificial bowel. 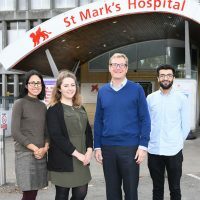 Many innovative techniques in minimally invasive surgery have been developed at St Mark’s, the latest being the UK’s first surgical robotic programme dedicated to bowel surgery. St. Mark’s Hospital is home to some of the best and brightest medical staff in the world.